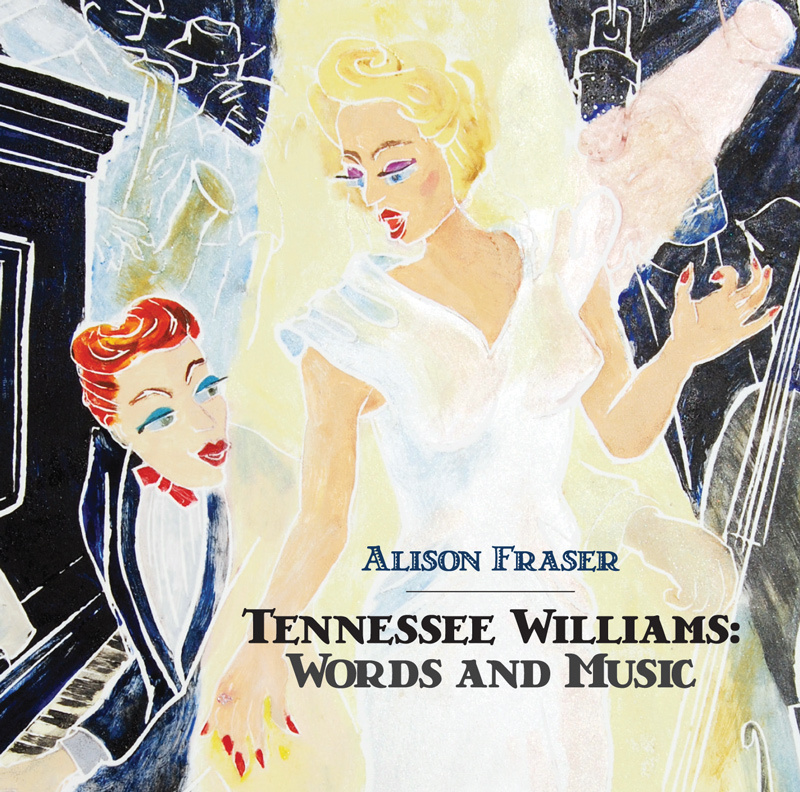 This album is a vibrant document of celebrated performer Alison Fraser’s concertThe Tennessee Williams Songbook, which premiered at Tennessee Williams/New Orleans Literary Festival last spring. David Kaplan – the show’s writer and director, as well as a noted Williams scholar and curator of the Provincetown Tennessee Williams Theater Festival – has reunited the songs heard in Williams’ plays with the words the playwright intended to join them. Together, Tennessee Williams: Words and Music tells a moving and passionate new story of their own. ALLISON LEYTON-BROWN, who produced the album with Fraser, created the unique new arrangements and serves as Musical Director and pianist. Leyton-Brown is a classically-trained virtuoso known for driving the beat and rattling the rafters in a dazzling array of musical styles, and a band of extraordinary New Orleans jazz musicians aptly named The Gentlemen Callers.